Kelly Dawson Author: AUTHORVERSARY SALE!! 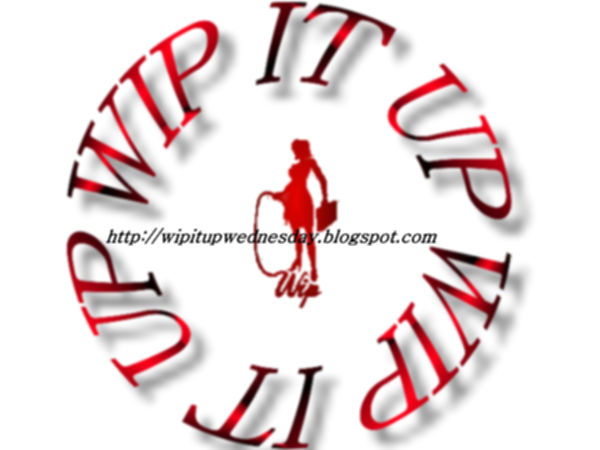 Welcome to my blog post for this week's #WipItUpWednesday where, once again, I'm sharing out of my first-ever spanky book Bracken Ridge which Blushing Books has included in the weekly "Flashback Sale" to help me celebrate my authorversary! Excerpt: Crack! “Six!” She didn’t know if she could take any more of these awful punishing strokes. 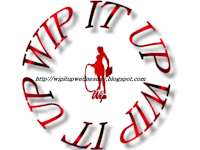 Jeremy was swinging the belt brutally hard and it was only her sheer force of will that was keeping her in position – Jeremy’s hand on her back was just resting there lightly, perhaps for comfort, but it wasn’t holding her down. He was leaving the staying in place for this punishment up to her. Only two more, she told herself, willing herself to get through it. Crack! Anna moaned in pain, and it took a couple of seconds for her to catch her breath to count. “Seven,” she gasped. Crack! The last one was especially hard, and Anna screamed. “Eight!” As soon as the count was out of her mouth she collapsed against the car, resting her cheek against the cold metal, her whole body shaking. She was still sore from the spanking Jeremy had given her earlier in his bedroom – to feel his belt on top of that was torture. She lay there sobbing against the car while Jeremy put his belt back on, then he helped her up and hugged her in close to his chest. She pressed her face into his broad, muscled chest, relishing the feeling of his powerful arms wrapped around her. His goatee was tickling her forehead, and he was rocking her gently back and forth. “Shhh, it’s ok baby, it’s ok, it’s all over now,” Jeremy whispered soothingly to her as he continued to hold her, rubbing her back rhythmically with the fingers of his left hand, as the fingers of his other hand entwined in her hair. A smile crept over Anna’s face as the ‘baby’ registered in her brain. Twice in a row! She thought. That’s gotta mean something! Jeremy doesn’t use the term ‘baby’ normally! As if to prove her right, Jeremy leaned down to kiss her then, holding her face in both his hands, his smouldering dark eyes boring intently into hers. The kiss was tentative at first, but quickly deepened when Anna responded to him, pressing her body into him, reaching her hands up to entwine in his wavy hair at the nape of his neck, her fingers exploring up under his hat, her tongue meeting his. 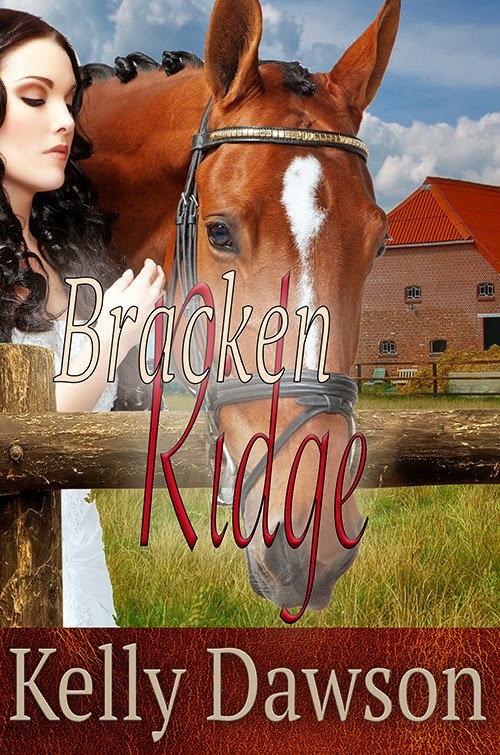 When Anna Fletcher comes home from University back to Bracken Ridge, the equine centre where she grew up, she is stunned to find Jeremy McCrae working as the manager. They were children together and she has had a crush on him forever. The years she's been away, Jeremy has only gotten cuter. Anna has plans for Bracken Ridge, but before she can implement them, she needs to prove herself. The biggest obstacle in her path is her nemesis, the stable hand who thinks Jeremy is mighty fine. Once Anna gets past her, Jeremy is standing in her way - he's now the boss, but she can't work for him. He's been her best mate forever, and to cede to his authority now is going against every grain of her nature. Being the daughter of the owner, Jeremy isn’t allowed to fire Anna, so when she gets rebellious and sassy he decides to spank her instead. That pic is definitely an inspiration. I had to laugh at the second to last line in your blurb. One would think he'd have thought twice about spanking the daughter of the owner too, lol. But it does make for a wonderful story and you have a gift for telling it. Love the snippet, Kelly, as well as her reaction to being called "baby." Clearly it isn't an endearment that Jeremy uses often. Love this snippet Kelly. Both hot and sweet and love her reaction to baby.